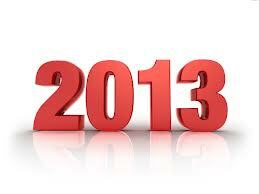 The Year 2013 has been a great year for equities and a rough year for commodities. Gold has put in its worst performance since 1981 while the Nikkei has put in its best performance since 1972. As we look ahead, 2014 will begin the rise in Civil Unrest that will also begin to turn more violent. There remains a serious risk of World War III as the economy turns down after 2015.75. Even when we look at Syria, the US Administration only tries to support Saudi Arabia who remains funding the rebels. They foolishly believe that they can control these religious zealots and the consequences of that failure can be catastrophic. Meanwhile, the hardline Republicans do not want to deal with Iran and cannot see their nose in front of their own face even with a mirror. The youth elected the President of Iran who is trying to stand up against the hardliners there. The Republicans are more likely to create a war than peace. The Obama Administration is only trying to help Saudi Arabia gets its pipeline through Syria and is not interested in any negotiations to try to stop the conflict in Syria when they know it has been their allies feeding the rebels. The crisis that can easily erupt in the Middle East this time is substantially different because of the economic vulnerabilities in the West and the regrouping of economic strength in Russia. « Bluehost Site Was Down System Wide – It was Not An Attack on Us This Time.